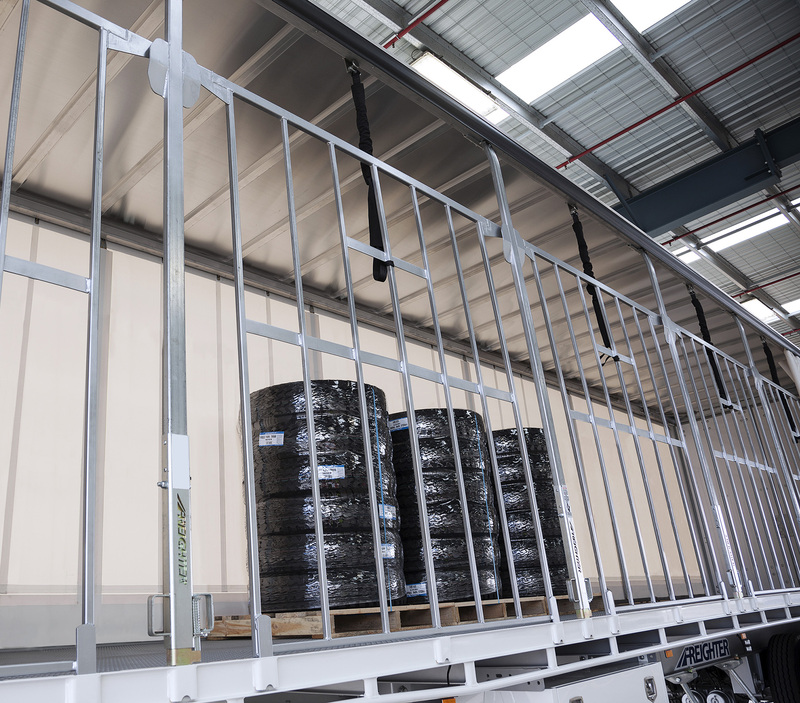 Freighter has announced the release of two new load restraint gate systems for its range of Tautliner trailers. Both new systems are designed to reduce maintenance requirements and improve work health and safety for operators. Freighter said that the new load restraint gates are available in two models: a premium “Sliding Post Load Restraint Gates” model and an entry level “Hanging Load Restraint Gates” model. Both can be ordered as optional upgrades on all Freighter Tautliner models, providing a rated load restraint of up to 1300kg per pallet space. Freighter Sliding Post Load Restraint Gates are virtually weightless, reducing the risk of injury from lifting heavy gates. The posts and all other components are integrated within the gates, meaning the six gates on a standard 22 pallet Tautliner can be opened in just six simple movements, for optimum speed of loading and unloading. “The unique and innovative gate mechanism also allows for the removal of additional moving parts in comparison to a number of existing systems, which increases reliability and uptime.” Mario stated. Freighter Hanging Load Restraint Gates are created via the simple addition of tabs to the gates and posts of a normal hanging gate. Freighter’s patents pending Hanging Load Restraint Gates have been created by adding tabs to the gates and posts of a normal hanging gate. “It’s a simple innovation that easily adds a rated load restraint to a tried and tested system,” said Mario. The addition of tabs has a further advantage, in that load restraint is provided at all four corners of each gate, fortifying the gates against damage when the load rests against them. “The uncomplicated construction also makes the gates just as easy to repair or replace as non-rated gates,” Mario continued. Both gate options include a mechanism built into the post which reduces the potential for vibration and track wear. By providing a constant upward force when fixed into position in transit, the post maintains a constant connection to the top rail, ensuring rollers remain lifted off the track. “The end result is a sturdier, more reliable post system,” said Mario. 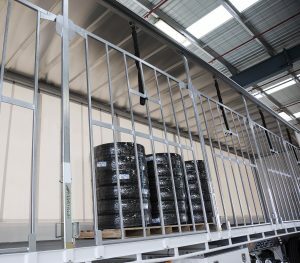 Freighter load restraint gates are available now in varying heights to suit individual freight requirements. This entry was posted in freighter-news, news. Bookmark the permalink.